This H.I.I.T. 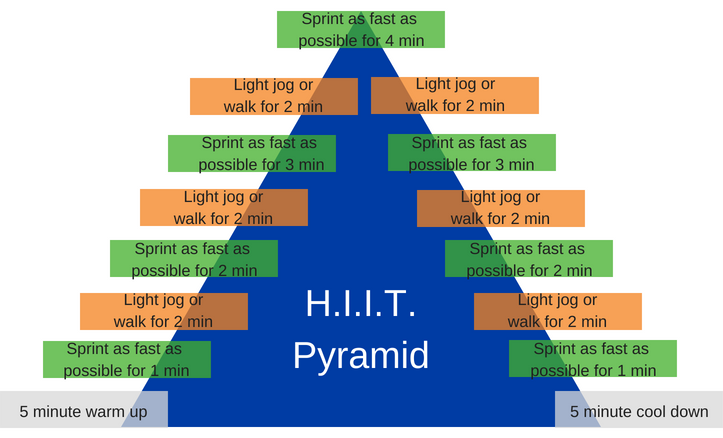 (High Intensity Interval Training) Pyramid Workout can be done inside or outside, on a bike, elliptical, a StairMaster, rowing machine, or your own two feet! You choose the equipment, and let this pyramid guide and challenge you! If you enjoy this workout, look into our 5K Training with Chad Fritsche beginning August 27. To view more of our fun workouts, click here.